Includes ejector, extractor and gas rings. Standard right hand ejecting. 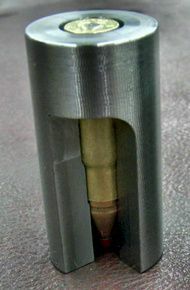 Available for .375 SOCOM, .458 SOCOM and .450 Bushmaster calibers. Also available with Nickel Boron Coating.